All Egyptian drama television shows have been suspended across Egypt’s state-owned television channels mourn the late Prosecutor General Hisham Barakat, who was assassinated earlier on Monday. The channels will also display a black ribbon and some channels, such as Nile Drama, will instead show the news. Egypt’s Prosecutor General, Hisham Barakat, had died from fatal injuries in his lungs and abdomen following a car bomb attack earlier today. 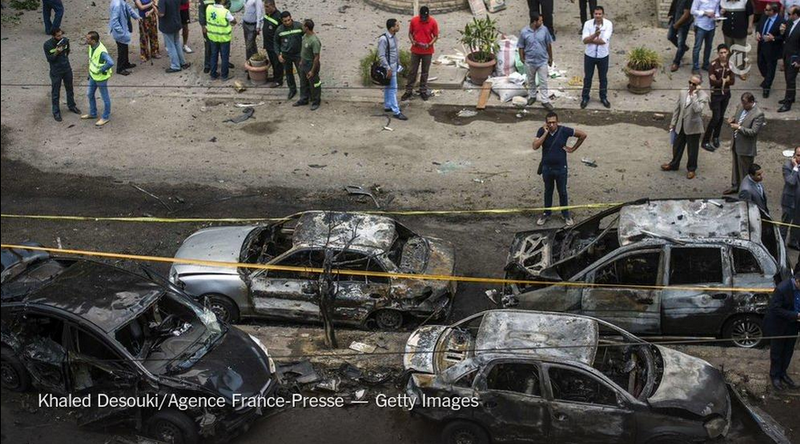 The prosecutor’s convoy was hit near the military academy in Heliopolis, Cairo. Earlier reports stated that Barakat had only suffered from a dislocated shoulder and a broken nose, however the Justice Minister Ahmed al-Zind and medical sources have since confirmed that he has passed away. Reports of other casualties are unclear, with some local media outlets reporting that five security personnel and one civilian has been injured. It is yet unknown who was culpable for the act. Barakat was appointed as prosecutor general by interim President Adly Mansour, and was seen as instrumental in the crackdown on the now outlawed Muslim Brotherhood. Barakat’s assassination comes just one day short of the second anniversary of the nationwide protests that led to the fall of deposed President Mohamed Morsi.